EMS was the London electronic music studio founded and run by Peter Zinovieff in 1965 to research and produce experimental electronic music. 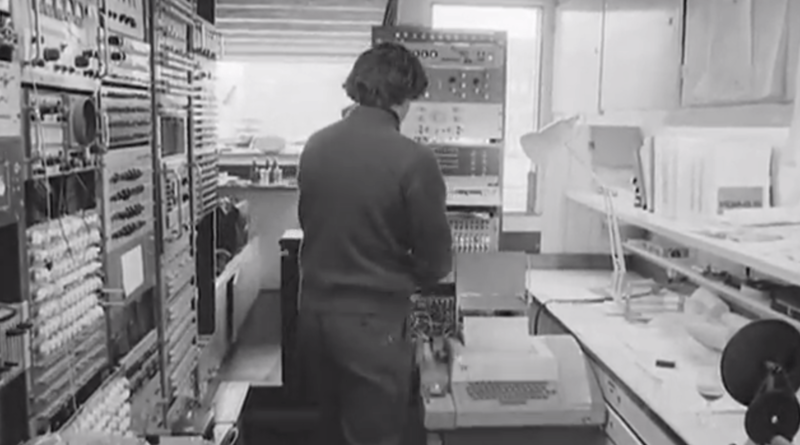 The studio was based around two DEC PDP8 minicomputers, purportedly the first privately owned computers in the world. Digital signal processing was way beyond the capabilities of the 600,000 instructions-per-second, 12k RAM, DEC PDP8s; instead, Peter Grogono was tasked with developing a new musical composition and ‘sequencing’ language called MUSYS. MUSYS was designed to be an easy to use, ‘composer friendly’ and efficient (i.e. it could run within the limitations of the PDP8 and save all the data files to disk – rather than paper tape) programming language to make electronic music. MUSYS, written in assembly language, allowed the PDP8s to control a bank of 64 filters which could be used either as resonant oscillators to output sine waves, or in reverse, to read and store frequency data from a sound source. This meant that MUSYS was a type of low resolution frequency sampler; it could ‘sample’ audio frequency data at 20 samples per second and then reproduce that sampled data back in ‘oscillator mode’. 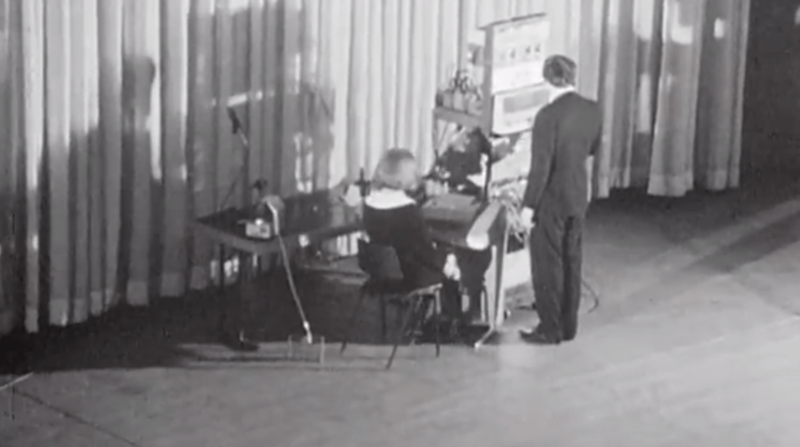 MUSYS was therefore a hybrid digital-analogue performance controller similar to Max Mathew’s GROOVE System (1970) and Gabura & Ciamaga’s PIPER system (1965) and a precursor to more modern MIDI software applications. 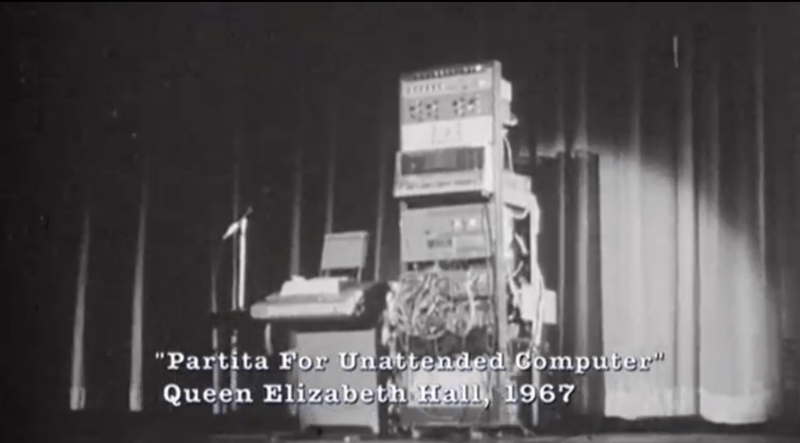 Previous to the development of MUSYS, the EMS PDP8s were used for the first ever unaccompanied performance of live computer music ‘Partita for Unattended Computer’ at Queen Elizabeth Hall, London, 1967. Notable compositions based on the MUSYS sytem include: ‘Medusa’ Harrison Birtwistle 1970, ‘Poems of Wallace Stevens’ Justin Connolly. 1970, ‘Tesserae 4’ Justin Connolly 1971, ‘Chronometer’ Harrison Birtwistle 1972, ‘Dreamtime’ David Rowland 1972, ‘Violin Concerto’ Hans Werner Henze 1972. The note has pitch 56 ( from an eight-octave chromatic scale with notes numbered from 0 to 63), loudness 12 (on a logarithmic scale from 0 to 15), and duration 15/100 = 0.15 seconds. The loudness value also determines the envelope of the note. MUSYS evolved in 1978 into the MOUSE programming language; a small, efficient stack based interpreter. Peter Grogono.’MUSYS: Software for an Electronic Music Studio. Software – Practice and Experience’, vol. 3, pages 369-383, 1973. Thank you for these beautiful audio examples. Chimebars was magical.